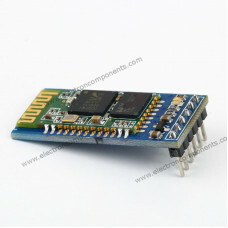 This Bluetooth Module board (breakout) is a latest wireless transceiver board. 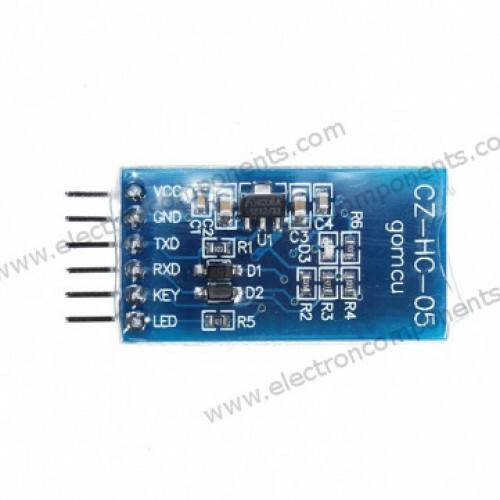 HC-05 or HC-06 modules uses standard version of bluetooth connectivity. 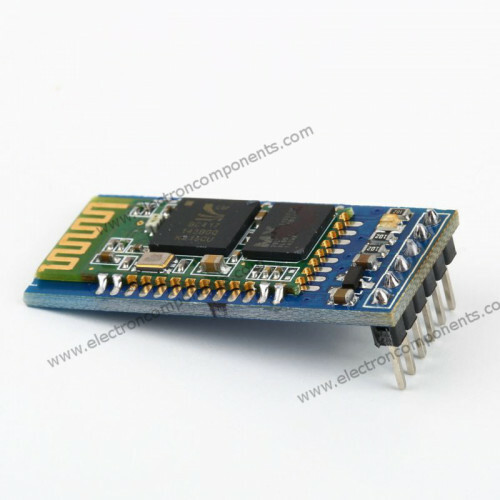 This modem work as a serial receiver and transimiter. Serial stream in the range from 9600 to 115200 bps. The board / unit can be powered from 3.3v upto 6v. No level shifting is required as all the signal pins on board are 3v to 6v tolerant range. The board can be connected to computer through RS232 to TTL converter circuit or Arduino XBee usb adapter. Easy interfacing pins provides simple connectivity through female connector wire or can be soldered directly.